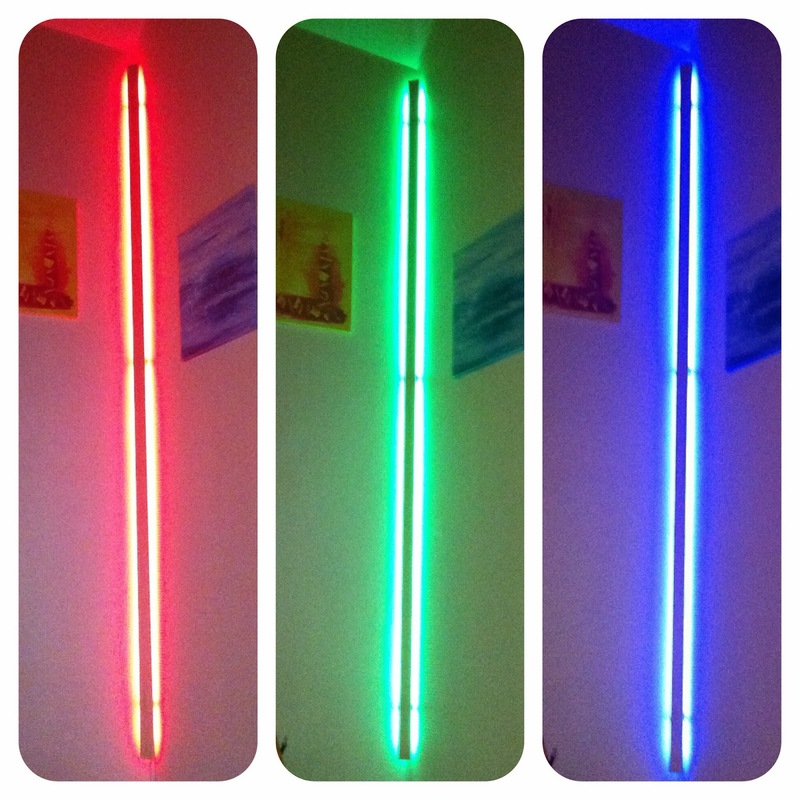 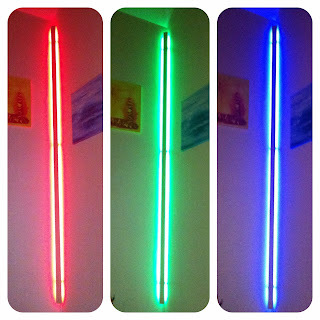 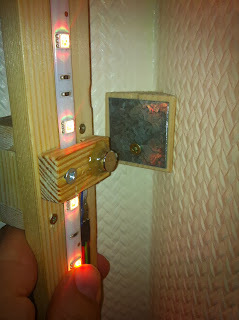 I mounted the LED strip on backsite of a strip of wood and mounted it on the wall with magnets. 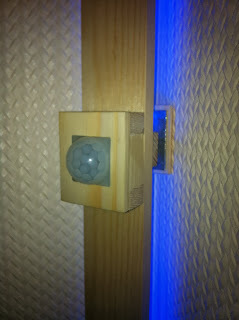 On the front side I mounted the PIR module. 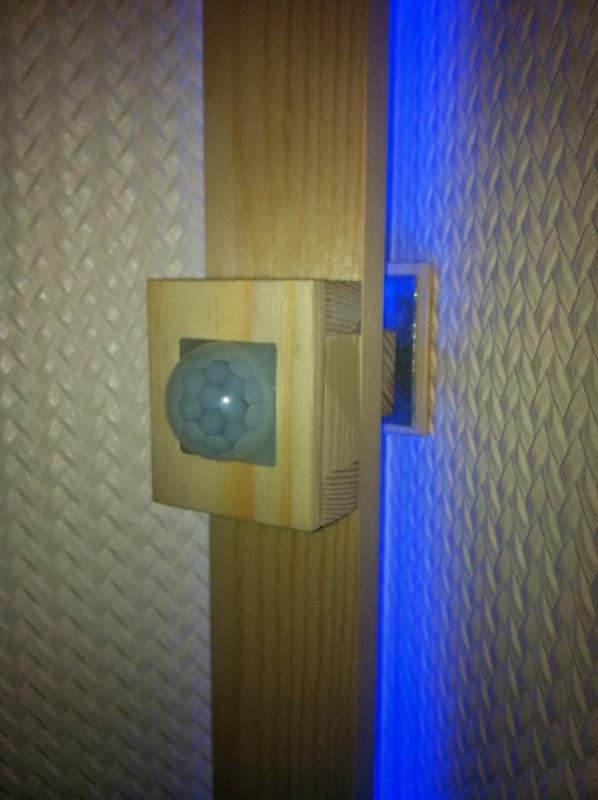 Here you can see the mounted wooden strip in our hallway. For the electronic part of the project please look at the project site.